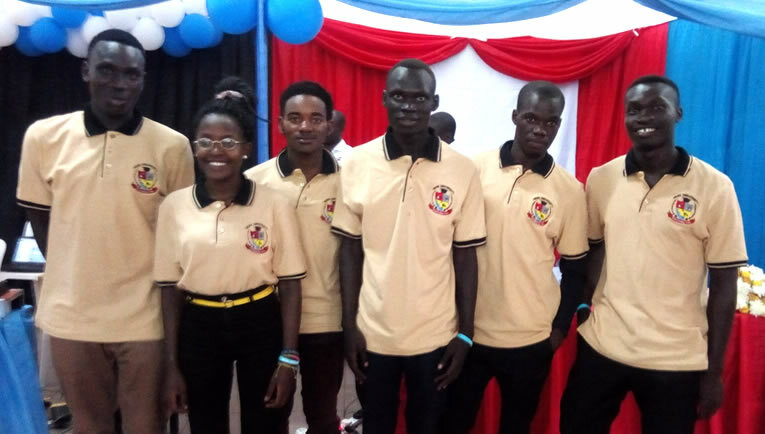 The 11th Uganda Annual Higher Education Exhibition took place from 21st -23rd March 2019 at Lugogo Show grounds Kampala with a theme “Mainstreaming Information and Communication Technology: The exploitation of social media for higher education delivery and management”aimed at encouraging Institutions of Higher Education to use social media to enhance their academic roles. Muni university showcased the Virtual Class Learning Technology which allows Students to attend classes from wherever they are and also interact with Lecturers in form of asking questions and Lecturers are able to provide feedback as well as give course assignments. This is another category of video conferencing technology. The IT students also developed and showcased a prototype of an automated irrigation system using a moisture sensor to detect the water levels in the soil and make a decision to irrigate if the water levels go below a certain threshold; that depends on the type of crops. The Library Department demonstrated the use of kindle fires to provide electronic information services access e-books,e-journals,and other electronic information as well as to get the Library online reference services on Library face book page and email. The Department of Nursing Science showcased a Mosquito repelling technology using natural plants that include Eucalyptus leaves, Paper mint, Lemmon grass, Garlic, Citronenna, Neem Leaves. Dry combination of the above and place in the house to release aroma. Alternatively extract liquids from all through boiling and spray in the house. keep the liquid covered,can last for up to two weeks. A mixture of Neem leaves and Coconut oil lasts for three to four months. (place Neem leaves in a jar containing coconut oil and close the container and keep away from the sun for two weeks, during which the neem extracts are absorbed in the coconut oil) smear oil on body before bed.